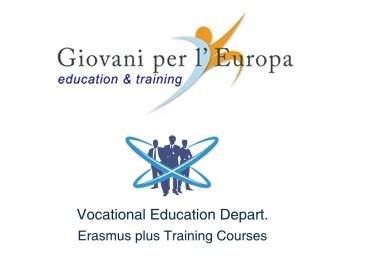 Giovani per l’Europa organisation, by at its experience for develop a lot of training courses, in all sectors, like tourism, foreign languages ,has developed a range of training courses ,which are adapted to the new programme of Erasmus+. 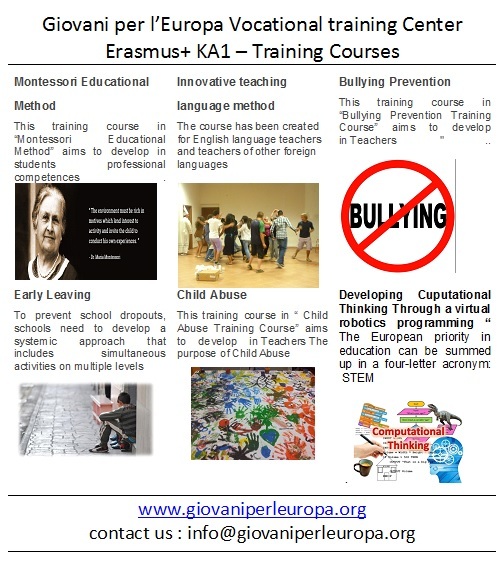 Questo articolo è stato pubblicato in Erasmus plus experince, erasmus plus hosting organisation Italy, erasmus plus italy, erasmus plus ka2 Remove term: erasmus plus ka2 Cooperation for innovation erasmus plus ka2 Cooperation for innovation, Erasmus plus Training Course, Hosting organisation, Italian language, Language Department, Mobility projects, Standard course . Bookmark permalink .